Free food always tastes better. Sign up for these offers and eat for free, or receive a free beverage, on your birthday. 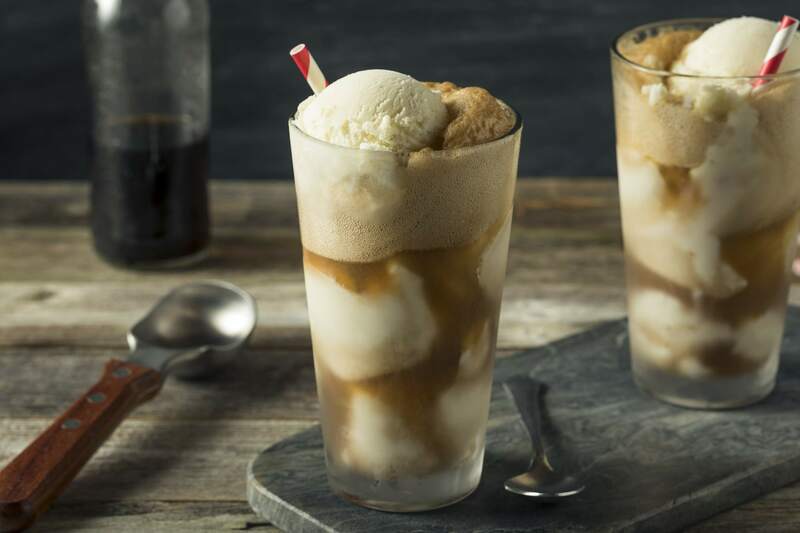 Join the A&W Mug Club mailing list and you'll get a free A&W Root Beer Float on your birthday. Sign up for Backyard Burgers' Clubhouse, and get a free burger on the spot, plus a surprise on your birthday. If you sign up your kids for the Barnes and Noble Kids' Club, they'll receive a free cupcake on their birthday. Register for bd's Mongolian Barbecue's Club Mongo, and you'll receive a free meal (most likely a stir-fry) on your birthday. Join the Black Angus Prime Club, and receive a free steak dinner the first year of membership (with the purchase of an entree). Sign up for Dunkin' UpDDate, and get a free beverage at sign-up, plus another one on your birthday. Just show your ID, and you'll get a free sub on your birthday. Join HoneyBaked Rewards, and get a free Ham Classic sandwich on your birthday. Simply choose your location to find the store nearest you, and follow the prompts to sign up. Sign up for Houlihan's e-mail club and get a free entree on your birthday. Join the IHOP Pancake Revolution, and you’ll receive three free meals: one for signing up, one on your birthday, and another on the date you signed up. Sign up to receive the Moe's newsletter, and you'll receive a coupon for a free burrito on your birthday. Join My Red Lobster Rewards, and choose from 3 temptingly delicious rewards each time you reach 125 points — you'll get 75 points just for joining! Become a Red Robin eClub member, and get a free burger on your birthday. Get on the So Connected e-mail list, and you'll receive a coupon for a sweet treat on your birthday. Join the Bun and Fun eClub, and get a free small sandwich on your birthday (good at participating locations). Sign up for My Sonic (Sonic's official fan club) and you'll receive a birthday coupon for either a regular order of tots, a medium fountain drink, or a regular cream slush. Register your Starbucks Card and get a free drink or food reward on your birthday. Enroll in the Fridays Rewards program, and you'll receive free food (apps like chips and salsa) with every visit, as well as lots of other great perks. Sign your child up for the Bob Evans Kids' Times Birthday club, and he or she will receive a free kids' meal on their birthday (for ages 12 and under). Become a member of the Sonic Birthday Club, and your child will receive a coupon for a free Wacky Pack Kids' Meal on his or her birthday and a $1.99 Wacky Pack Kids' Meal on their half birthday. Sign up for the Baskin-Robbins Birthday Club, and you'll receive a coupon for a free 2.5 oz. scoop of ice cream on your birthday. Sign up for Chunk Mail, and stay abreast of everything Ben and Jerry's (and perhaps some free birthday ice cream). Become a Fudgie Fanatic, and get a free cup or cone on your birthday. Sign up for the Blizzard Fan Club, and you’ll receive a buy-one-Blizzard-get-one-free coupon on your birthday. At Denny's, you'll receive a free Grand Slam on your birthday. Join the P.I.G. Club (Pretty Important Guest), and get free food on your birthday. It's for all ages, so be sure to sign up all of your family members. Sign up for Slab Happy Rewards, and you'll receive free ice cream just for signing up, as well as a $5 birthday reward among other perks. Sign up for the Marie Callender's E-Club, and get a free slice of pie and $5 off an entree on your birthday. Kids and adults are eligible for a freebie. Join the Julius League and get a buy-one-get-one-free voucher just for signing up. Register for the Qdoba rewards program ​and you'll receive points with every purchase that accumulate towards free food.